There's plenty to see and do in Belize's largest district, so you'll never find yourself bored during your visit. Of course, that also makes it hard to settle on a single activity or area. This quick guide will help you plan your trip to Cayo. Belmopan, the capital city of Belize, is a well-developed area, yet it never lost its casual air. Known as the Garden City, this sculpted social hub is welcoming and friendly. One of the biggest attractions in Belmopan is the Belize Archaeology Museum. It's one of the only places in the world to take in three millenia of Mayan history in the form of real-life anthropological discoveries, modern exhibits and cool educational features. Belmopan hasn't always been the capital, and it's not as large as Belize City on the coast. As such there's plenty of affordable travel between the two. The open air market next to the bus terminal and the government buildings is a great place to stop in and get a bite to eat as you walk around. Near San Ignacio, the capital of Cayo District, you'll find multiple Mayan ruins, including Caracol, Cahal Pech and Xunantunich. This is also a good place to reach Guatemala if you want to see the famous ruins at Tikal. Many sign on with tour guides, but you can also rent a car or hike and observe the ancient settlements at your own pace. 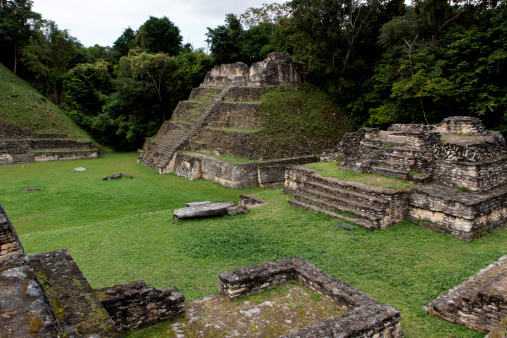 In addition to the pyramidal Mayan ruins you're most likely familiar with, there's also an interesting archeological site in the area called Actun Tunichil Muknal. Also known as Xibalba, or the Cave of the Crystal Sepulcher, this large complex of caves is full of ancient Mayan stoneware in addition to several fossilized skeletons. Some of the cave formations here are natural while others were actually modified by the Mayan people in order to create altars and ceremonial areas. Other neat natural sights you might not expect to find in a tropical country include the Mountain Pine Ridge Forest Reserve, where you might cross paths with jaguars, Baird's tapirs, white-nosed coati, and other large mammals in addition to the occasional Morelet's crocodile. Numerous waterfalls, like the 150-foot Big Rock Falls on Privassion River, ensure that there are abundant photo ops everywhere you look. Cayo District isn't just Belize's largest. It's also one of the nation's most popular tourist destinations. The district is heavily populated with Mayan ruins that include familiar temple-pyramid complexes and hidden caves alike. There are also thick jungles and nature reserves where you can observe animals in their wild state. In addition, numerous urban hubs that make it easy to travel from one place to another and experience the local culture at museums, markets and festivals. See the Cayo District for yourself when you book a Chill Weekend in Belize.